Today on the Doc On The Run Podcast we’re talking about why you should think about getting some new running shoes. And not surprisingly, other doctors, and lots of runners ask me which running shoes are the best. That’s not an easy answer. Of course the short answer is that the best running shoes are the ones that work best for you. But you have lots of variables. Your foot type is probably different than mine. Chances are good that you’re a faster runner than me. You also probably have a different training regimen and set of goals for this year. Your running shoes are supposed to help you run further, decrease your risk of injury and protect you while you train. The very best running shoes are always an accurate reflection of the runner’s particular biomechanics, running form, training regimen and particular goals. So in this episode we’re going to talk about some of the ways you might want to reconsider your running shoe choices. Before we really get started I will tell you this episode is not really about just making sure that you replace worn out running shoes. But, just to cover the bases and to get that out of the way right now, I will say replacing worn out running shoes is extremely important. You cannot run in worn out running shoes and expect to get any reasonable or predictable protection from the running shoes. Your running shoes are probably worn out. As you run, of course you pound away at the EVA cushioning material in the mid sole of the running shoe. If you weigh close to 200 pounds like me you’re probably really beating up the shoes when you go for a run. If you happen to be heel striker you’re beating them up even worse. I’ve read many articles that say a runner should be able to go about 500 miles in a pair of running shoes. But that can vary considerably. For somebody like me, I can really only go about 250 miles in a pair of running shoes. After that, they just aren’t providing the same level of support or cushioning anymore. You don’t necessarily have to chart all of your mileage in a spreadsheet or journal. But I do think it’s extremely useful for all runners to go through one initial exercise just once so they can really learn about how many miles it will take for them to wear out the running shoes. The first thing you should do is go to the running shoe store and purchase two pair of the exact same type of running shoes you’re running in right now. This is operating on the base assumption that you actually like your running shoes. It also assumes you’re fairly used to running in these particular running shoes. When I say get the exact same pair of shoes I understand that the brand may have already modified that particular model slightly since you bought the last pair. As we all know the running shoes are constantly changing. So go to the store and buy two pair of the exact same kind you’ve been running in. Say for example you’ve been running in the Brooks Glycerin for the past few years. Go to the running shoe store and buy two pair of the Brooks Glycerin in your size. If it were me, I buy two different colors. Again, just for purposes of this explanation let’s say you get a blue pair and a red pair. Start running in the blue pair. 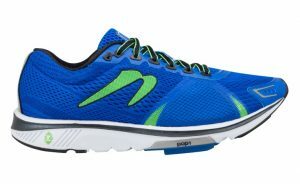 Every single time you go for a run log the mileage, the terrain and note that you ran in the blue pair of Brooks Glycerin. Just as an aside, I will say that when I purchase new running shoes myself, I try to do some initial short runs in the new running shoes, but do longer runs in the older running shoes just so that I can break in the new shoes gradually. We’ll talk more about the utility of this strategy later. Anyway, back to logging miles in your new shoes. You want to keep very clear records on how far you ran and whether or not the train was flat or hilly. You also want to know whether you ran on trails or some hard surface like asphalt or concrete. If you do all of your runs on the road it really doesn’t matter that much. Once you have logged 200 miles, you should check and see if you have any significant wear that you can actually feel when you run. So put on your blue running shoes and go run one mile. Then, put on your red shoes that are brand spanking new right out-of-the-box. Go and run one mile. See if you can’t tell a difference between the two pairs of shoes. Again, for someone like me who weighs close to 200 pounds, I will actually be able to tell a difference in the amount of stability or firmness of the shoe after only about 200 miles. Some of the EVA cushion in the mid sole will have already begun to collapse. With 200 miles on the shoe it will feel somewhat unstable and wobbly compared to the brand-new shoes. By the time I get to 500 miles, they don’t even feel like the same brand of shoe anymore. They are completely worn out. And with that amount of mileage, I can just look at the exterior of the shoe and see wrinkles in the sidewall of the outsole. Those wrinkles are a clear indicator that the EVA cushioning material on the inside of the midsole has already collapsed. You don’t get the wrinkling unless something is collapsing. Whenever I see injured runners during a house call, or even when I do a remote consultation for them via web conferencing, I typically look at the runner’s shoes. I asses wear patterns but I also look at the side of the shoe to see if there’s any wrinkling that indicates they’re running in shoes that are way too worn out. In many cases your shoes are so worn out if you just hold it up in front of your computer and I look at it over the Internet I can see that there is collapsing in your mid sole material. 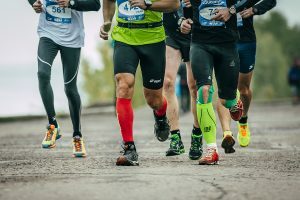 Although I have not tracked it and would never been able to document this, I would be willing to bet if runners would simply replace their running shoes sooner it would eliminate about half of the injured runners who call me for help and advice. Once you have done this experiment and you’ve really assessed for yourself to figure out about how far you can run in the types of running shoes you prefer, you’ll then know really how long you can run in your shoes before your risk of an over training injury that might be related to an obliterated mid sole. The best part of this of course is that since you have logged all of your miles, all you have to do is look at your running log and then you can tell about how long it took to wear out the shoes. So then you know if you ran 300 miles before they started to feel very different than your new shoes and it took you three months to run that many miles you know do you need to replace your shoes every three months or so. All you have to do is put a scheduled alert on your calendar repeating every three months to remind you just buy new running shoes every three months. So even if you’re busy with work, family, life and training, you will get an automated alert from your calendar every three months to remind you that it’s time to get a pair of running shoes. With that out of the way let’s get back to the main point… Different running shoes can deliver different forces to your body. The best running shoes for you are going to do three things. The best running shoes will work well with your particular running form. The best running shoes will decrease forces enough to prevent an over training injury. The best running shoes will help you achieve your goals. 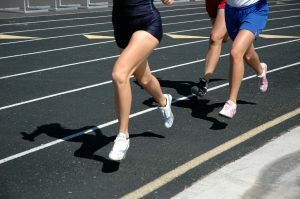 As runners, we often talk about running form. 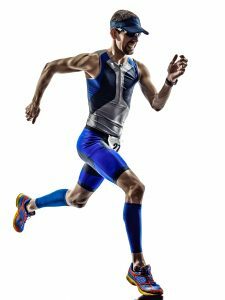 Almost everyone listening to this will have read some article about how running form can decrease your risk of injury or help you run faster. Or both. 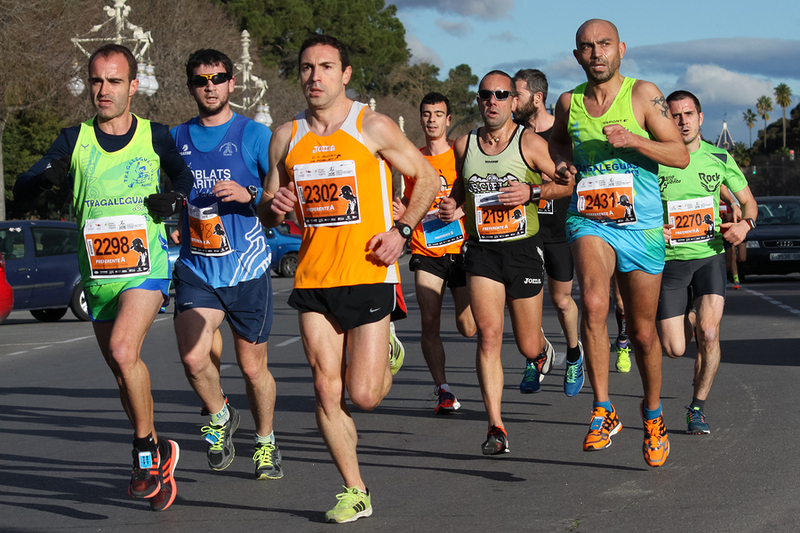 You’ve probably read books about running form. 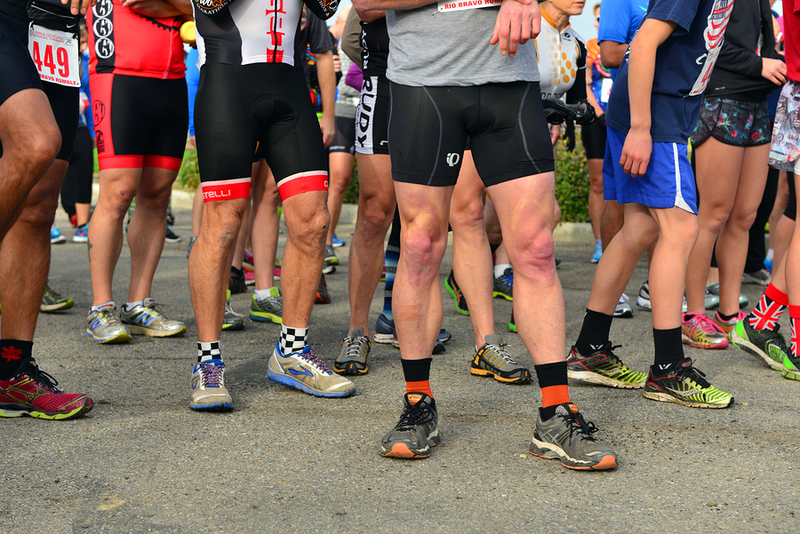 You may have even gone so far as to have an expert assess your running form. You might even have one run a week where you do nothing other than really just try to focus on your running form. How would you describe your running form? Do you think of yourself as a heel striker? Do you think you are a fore-foot striker? Are you mainly a mid-foot striker? 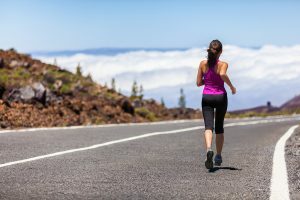 The funny thing about this is that whenever I talk to runners, and other doctors, many people seem to have the perception that any given runner has only one particular running form. What I would argue is that runners have different running forms depending upon what sort workouts they’re doing. In much the same way that a car has several different gears, runners shift things when they run at different speeds and on different surfaces. As an exaggerated example, if you happen to be a forefoot or mid foot striker, I would like you to go walk one mile as a fore-foot or mid-foot striker. Unless you happen to belong to one specific tribe in Africa it is unlikely that you’ll be able to do this. Okay before my ridiculous challenge causes some kind of weird overuse injury because you’re walking around on your toes, let me rephrase that. It will be unlikely you can walk as a forefoot or mid-foot striker without a lot of discomfort. That discomfort comes from loading structures you don’t normally load that way. We all know running is very different than walking. The biomechanics are different. But your biomechanics are different when you do different workouts. If you’re doing speed work your form is going to vary considerably when compared to your long-run. Just set up a video camera (or even the video camera on your phone) to record you when you run on a treadmill. Run at a 10 minute mile pace and look at your form. Note the amount of vertical displacement, whether or not you’re primarily heel striking, landing on your forefoot or mid-foot. Look at your stride length. Look at where your feet land. Look at how far they cross the midline. Then, even if only briefly, increase your speed on the treadmill so you are running a seven minute mile pace. I can promise you that your running form and biomechanics are going to change considerably at faster speed. We all know that virtually every marathon training program on the planet recommends at least three different types of workouts per week. These workouts often include some sort of speed work, some sort of long run and then some sort of tempo run. When you run at different paces you apply forces differently. To maximize this difference I actually run in four different types of shoes. My goal is to spread out forces as much as possible. An over training injury is nothing more than too much force applied to one specific structure. If you want to avoid an overtraining injury, you want to spread out forces to as many different anatomic structures as possible. You want to share the load. One strategy is to use different shoes for different workouts. I personally run in four different types of shoes. One huge disclaimer: I’m going to tell you the shoes that I have in my rotation right now. But just because I use them it doesn’t mean they’re the best ones for you. Also, in terms of potential conflict of interest, I will tell you that I do not own stock in any of these running shoe companies. I’m not a paid spokesperson. Although I do discuss these running shoes when I lecture to physicians about running biomechanics at medical conferences I have never been a paid speaker for any of these running shoe companies at a medical conference. And I didn’t get them free. I bought all of the running shoes I am running in. I don’t have any particular allegiance to any of these brands. I think it’s important to mention that because many doctors get free running shoes from running shoe stores or shoe companies. For my long runs and my “off days,” I run in the ASICS gel Nimbus. What I mean by “off days” is those days where I feel tired, worn out, exhausted or otherwise just not feeling right. 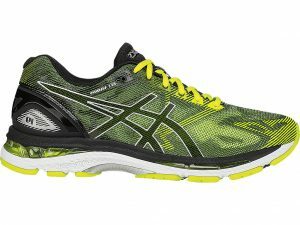 The ASICS gel Nimbus is a running shoe that I’ve used for many years. I think it’s one of the best neutral cushioning running shoes. It works well for me. It’s super cushy and relatively protective. Because I’ve been running in them for so long I always feel comfortable in these shoes. But they’re not perfect for everything. shock absorption material built into them. However they’re very different in that they only have a 4 mm heel-to-toe drop compared to the 12 mm heel-to-toe drop found within most conventional running shoes. 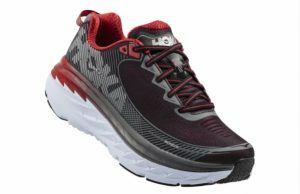 Hoka running shoes make a great addition to any running shoe lineup because they can help runners pursue more minimalist running style in a protected environment. 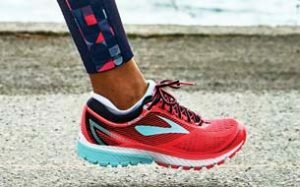 The active foot frame and unique technology built into Hoka running shoes offers a surprising amount of stability and forefoot rocker that has the potential to decreased loading throughout the foot. I use the Newton Gravity for speed work. And when I say speed work I really just mean mile repeats. If you’re a short course runner you probably do much faster speed work than I do. Because I prefer doing longer races like marathons and Ironman triathlon’s I do mile repeats when I go to the track once a week. When I do mile repeats I use the Newton gravity which has a 3 mm heel-to-toe drop and a weight that is about half of the ASICS gel Nimbus. Like all Newton running shoes they have forefoot lugs that really help you to focus on your form, particularly making sure that you land as a forefoot or mid-foot striker. Many years ago when I set about writing a review for Newton running shoes I started using them for my mile repeats once a week. All I really did was focus on form, making sure that I was landing as a mid-foot striker and trying to stay on pace. After a few months of that exercise I chopped a whopping 20 minutes off my previous best marathon time. So before you start writing in telling me that you changed a hat and had a PR one time keep in mind we’re talking about 20 minutes. Some guy wrote me one time and actually told me that he had a PR when he was wearing a different hat but I can tell you that if I ever wore a new hat and was able to chop 20 minutes off my time I’d run with two of them. I can’t tell you with any certainty that it’s really the running shoes that made me run so fast. And that wasn’t temporary improvement. It wasn’t one single race. I have been faster since. But it doesn’t matter if it’s really the shoes or the fact that the shoes helped me learn how to run with what is for me certainly, a more efficient running form. My personal performance improvement isn’t debatable. The clock doesn’t lie. Running in Newton Gravity running shoes simply made me faster. When I do trail runs I run in trail shoes. Trails are different than paved surfaces. Because I live in California there’s lots of sand, dry dusty sections, eucalyptus leaves and mud. The outsoles of all trail running shoes have much more aggressive lugs to provide better traction and help you slip and slide less. The forefoot outsole of most trail running shoes is also flared outward which helps impart stability. Although it is subtle, that slight outward flair provides some serious protection against inversion ankle sprains. It functions almost like a tiny outrigger for your foot. I don’t have any particular sales pitch to try to convince you the Brooks Cascadia is somehow the best. They do happen to fit me well. They also seem to be very comfortable on the trails where I run. To be perfectly truthful about it I loved the color of the old ones but my new ones are hideous. That’s not really the fault of the Brooks designers. They are kind enough to at least make them in several different colors. The hideous look of my trail running shoes is a consequence of my own impatience. I went to the running shoe store and it just so happened that the only one they had in my size that day was a color I hated. But I prefer good running shoes to pretty running shoes. And as a side benefit if you’re actually running on trails they’re going to be covered by a sheen of dust and mud which quickly conceals any offensive colors. And I do hate them less since I got them dirty. The goals of my particular running shoes always match my particular run. The goal of speed work is to learn how to run fast. As I mentioned in my case I just do mile repeats but the goal of those mile repeats is to become accustomed to running at a faster pace. It is biomechanical training. The shoes that I use when I do mile repeats help me focus on good form. The goal of my trail runs is to vary forces considerably, get stronger by running up steep hills, work my core, and above all else, not fall down. And people do fall down when running on trails. I can speak from experience. Last year when I was running on a fairly treacherous trail on Kauai, I got both a concussion and a cracked tibia. On the same run. On two different falls. Just to prove that I’m a slow learner. Some people say because you can’t change the force of gravity you can’t change the force of pounding when you run. But I say that’s hogwash. For example we know, from published scientific research, when you run on super soft surfaces like grass it increases leg stiffness. That totally makes sense if you think about it. You have to increase stiffness in your system when you’re running on an unstable surface. Conversely, if you’re running on a harder surface your body needs to absorb forces of impact more dynamically. So, leg stiffness may decrease when you’re running on harder surface. It follows that if you run on softer running shoes versus harder running shoes, you may be able to alter the forces being applied to your entire system. By using the other two types of shoes my thinking is that I am applying different amounts of heel-to-toe drop, different construction materials, different amounts of forefoot rocker and consequently different forces throughout my lower extremities during those longer runs on the road. Again, all over training injuries are a consequence of applying too much force to a single structure. The more variety you introduced to your running routine, including your running shoe selection, the lower the risk of applying too much force to one single structure. Buy two pairs of running shoes at once. Figure out how far you have to run before you start noticing a change in the feel of your running shoes that indicates they’re wearing out. Once you know how far you can run make sure you replace them before you wear them out. Don’t get injured trying to clock an extra hundred miles on your running shoes. Switch things up. Alter the style, and maybe even the brand of your running shoes to see if you can’t introduce a little bit more overtraining protection in the form of variety. Do yourself a favor. Get some new running shoes.